Hello! Amanda here with this week's challenge! Butterflies are one of the most beautiful insects and they can be used for so many different occasions and ideas in scrapbooking! This week the challenge is to use butterflies in some way, shape or form on your project! 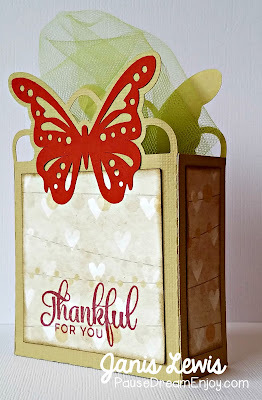 For mine I die cut some butterflies from scraps and embossed them and then created this card. I left it blank so that I can have it on hand and just add a sentiment as needed! 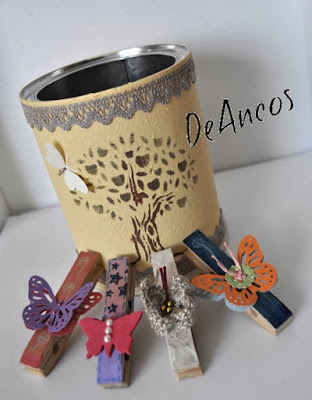 I used the Tim Holtz Mixed Media 2 dies for my tag, added Gesso and stamped it with StaZon in Rusty Brown. 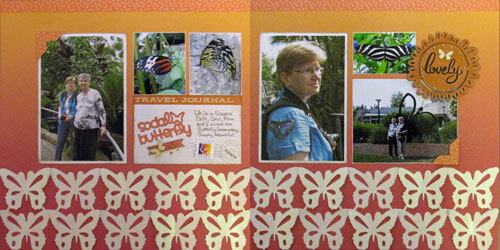 A two page layout based on a Scrapbook and Cards Today sketch featuring photos of our visit to the Butterfly Conservatory in Niagara Falls (Canada) in June of this year. To see the individual pages, the sketch and a list of products used, check out my blog. 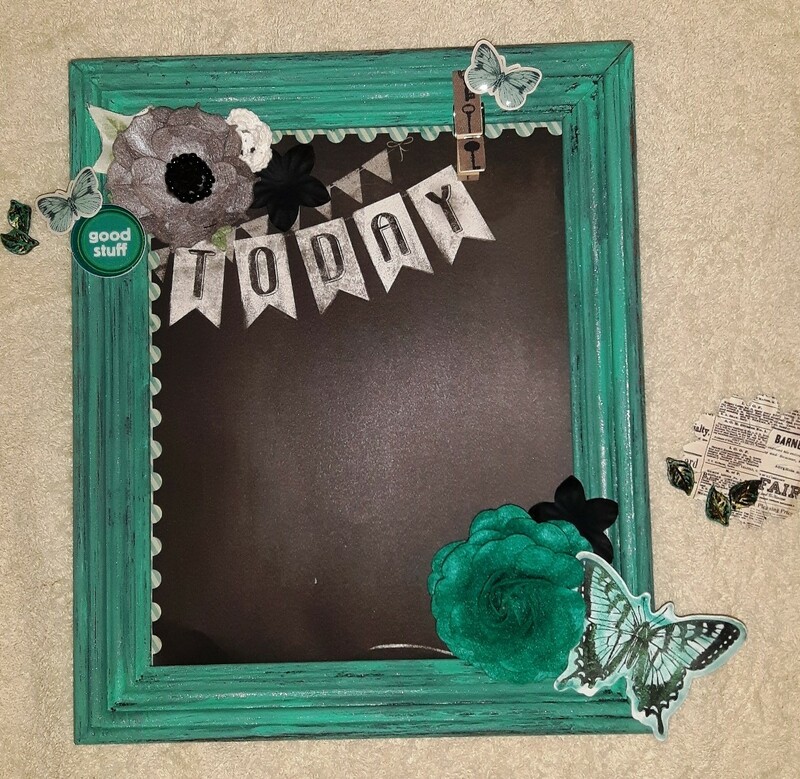 I altered a rather boring old picture frame into a reminder chalkboard, prettied up with butterflies. Butterflies have always been my Mama's favorite. They are all around her house. Even pinned to the curtains. 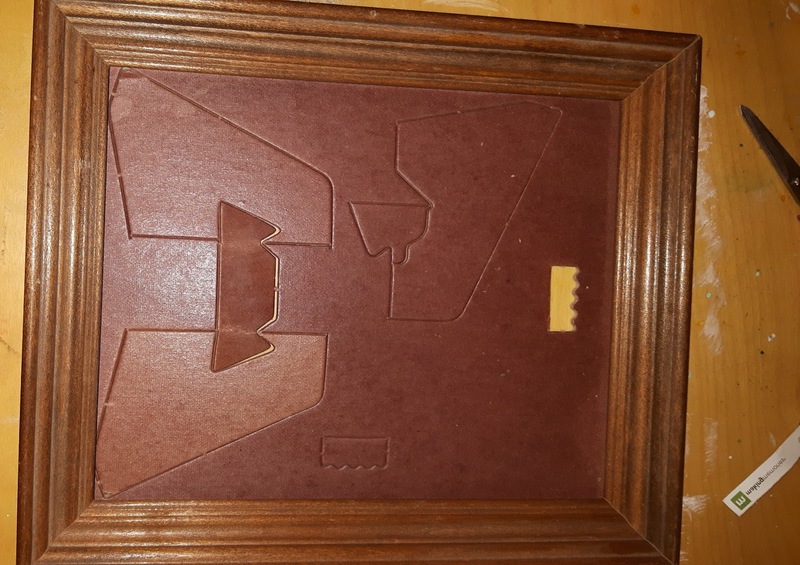 I made a little gift box using a die cut from the Silhouette Online Store and my Cameo. Some pattern paper was added, a little ink shading, sentiment stamp and lime green tulle. I love butterflies because they are almost invisible. 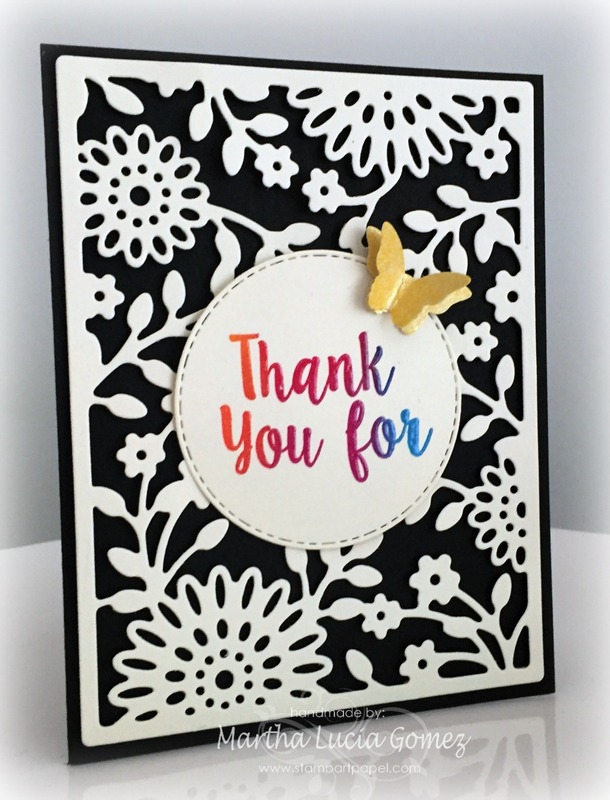 In today's card I used a die cut to create the background and I embossed the paper with WOW Banana Split Embossing Powder to cut my butterflies with a punch. If you want to see the entire tutorial click HERE. 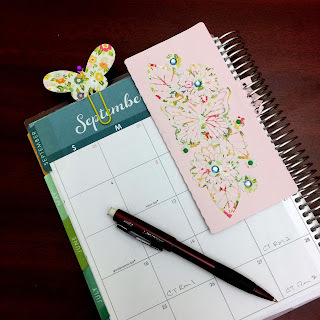 For this challenge, I created a butterfly planner clip as well as an insert with a butterfly die cut on it. Planners are super popular, and it is always nice to create custom decorations for your planner. I have a fun little mini album to share with you this week using BoBunny Butterfly Kisses paper, some Prima flowers from my stash and butterflies created with EK Success punches. Hope you will stop by my blog to see all the details! Show us what you've created!